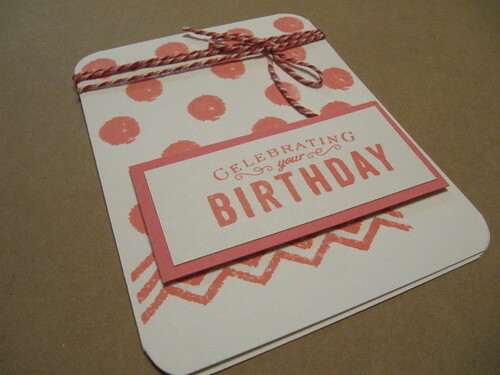 Today I have a pink polka dot birthday card to share today. I love how bold these polka dots are and how well they pair with the sentiment. This was a fun card to put together and I used several different stamp sets to complete it.